Recycled Paper Bag with Bright Color were made by white kraft paper 110-120gsm, which have good performance of durable. Bright Color Paper Bag can be printed different design, used for holiday, gift, or ereryday use. We have specialized in this field more than 15 years, and professional well-trained staff. We will proceed after the goods delivery and keep a close concern with you. Looking for ideal Recycled Paper Bag with Bright Color Manufacturer & supplier ? We have a wide selection at great prices to help you get creative. 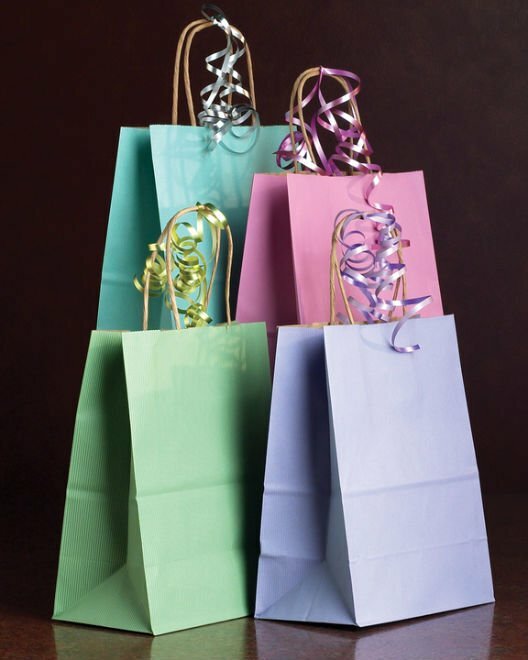 All the Bright Color Paper Bag are quality guaranteed. We are China Origin Factory of Recycled Paper Bag with Bright Colorful. If you have any question, please feel free to contact us.